Alexandros Anagnostopoulos is a male goalkeeper from Greece, who has been playing for Aris Thessaloniki FC in Greece since July 27, 2016. Having been born in 1994, on August 18, Alexandros Anagnostopoulos's age of 24 makes him junior to the average player of Aris Thessaloniki FC. He had but one match appearance this season. 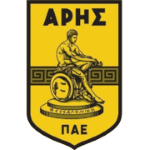 The club of Alexandros Anagnostopoulos, Aris Thessaloniki FC, presently holds fifth position in Super League (Greece) and third position in group Gr. 4 of Greece Cup (Greece). Measuring 185cm, Aris Thessaloniki FC's average player height surpasses Alexandros Anagnostopoulos by 6cm. Stunning 76% of Aris Thessaloniki FC's football players are right footers and so is Alexandros Anagnostopoulos. At 176.37lb, he carries 12lb more than the average Aris Thessaloniki FC player. Altogether, he was substituted in 2 times and out not once. Currently, he entered the pit more than he left it which holds true for last season as well. 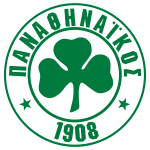 Alexandros Anagnostopoulos's shortest stay in a club was 17 months in Panathinaikos Athens (Greece). He played for Panathinaikos Athens before ending up in Aris Thessaloniki FC. Besides Alexandros Anagnostopoulos, there are two more goalkeepers in Aris Thessaloniki FC's lot: Julian Cuesta and Giorgos Kantimoiris. Aris Thessaloniki FC's jersey number 1 is Alexandros Anagnostopoulos. Throughout his time as professional football player, he was not once sanctioned with a card. His longest stay in a team counts two years and 10 months in his current club. In terms of winning, Alexandros Anagnostopoulos's team was able to do so in 50% of Super League's and in 33% of Greece Cup's matches. Ereyesterday he played his latest match.